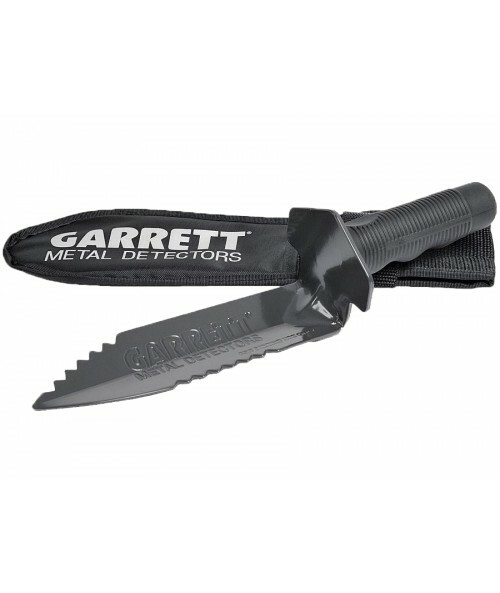 The Garrett Edge Digger is made specifically for metal-detecting adventures. 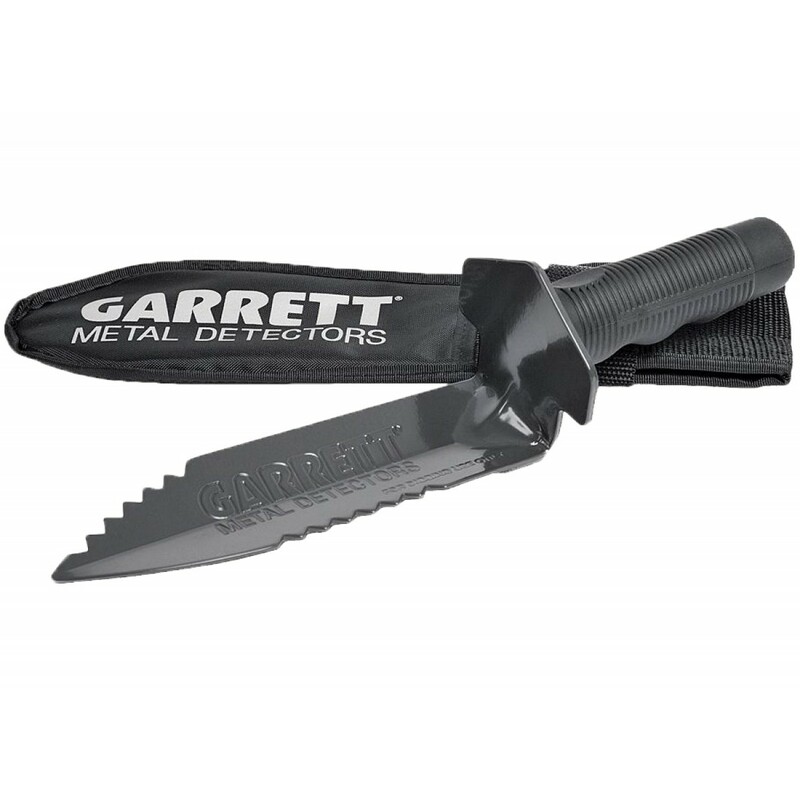 The 7.5" carbon-steel blade with cutting-edge teeth tears into all types of soil. 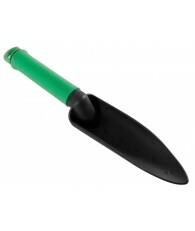 Creates uniform holes, and easily slices through small roots that come between you and your treasure. The handle offers a rubber grip and a thumb indention for a sure grip, and its non-slip blade guard keeps your fingers away from the Edge Digger's blade. 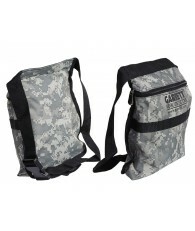 Includes a convenient, belt-mountable carry sheath. Overall length is 12". 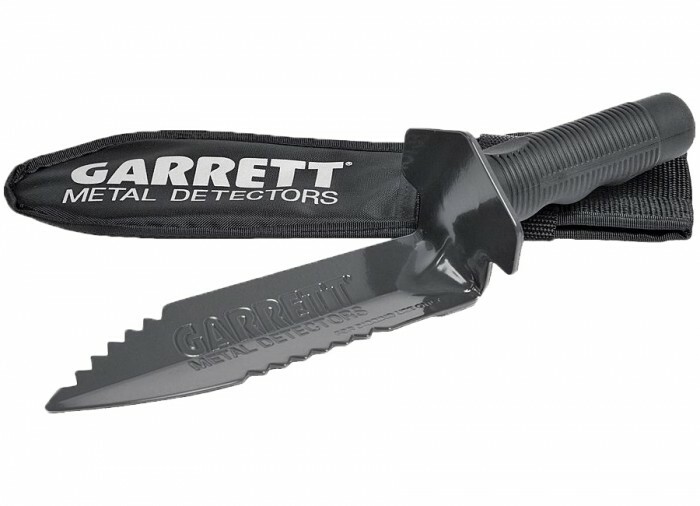 I got one of these as a free extra with my Garrett Ace 250. I've been using it for 4 years and it still works great. I've had to sharpen the edges a few times with my grinder but you expect that with the hard use its gotten. The one thing I would do (have done to mine) to improve it is to add a solid round ball at the end of the handle to make it easier to push into hard ground. The rubber grip wears out pretty quickly and without the ball, you're pushing on a thin walled round pipe which is painful even with gloves on. I modified mine by finding a small piece of 1" wooden dowel that just fit into the handle and rounding one end on my belt sander. There is a small hole that is ideally placed in the handle to use a screw to secure the wood to the handle. With this, the digger will last me for many more years. You did a fine job and helped me with my hobby. Thanks.